Now that Tara Lazar’s Picture Book Idea Month is over, I thought it would be nice to reflect a little bit on what we’ve accomplished in the past few weeks. If you participated in PiBoIdMo, first off, CONGRATULATIONS! You’ve made great progress on your writing journey. Publishing is an art where creativity and magic come together to make great books. But publishing is also a numbers game – the more manuscripts you create, the more likely it is that some of them will get published. And how do you create manuscripts? Well, it starts with ideas. And now you have lots of ideas – at least 30 if you got through the month! (More if you followed my PiBoIdMo advice.) So you’re all set! I’ve got some bad news. Well, potentially bad news. More like bad reality, actually. Except that reality is never bad. Here’s the reality of the situation: not all of the ideas you have so carefully thought up during PiBoIdMo are picture book ideas. I know you want them to be. I know that’s what you intended and planned for. I know you have great dreams for these ideas, dreams that are so good that you want to will them into existence. But for some of your ideas, those dreams will never come true. I’m not saying these things to upset you, or to de-motivate you. You shouldn’t lose your momentum. I just want you to focus your energy on the best paths to maximize your ability to succeed and get published. Here’s the thing: your story ideas are like your children. You give birth to them, you nurture them, you guide them toward the goals you have carefully set for them. You know what’s best and you will make that happen. For those of you who have children, you’re probably already guessing where this is going to go. With our children, no matter what we have dreamed for them when they were helpless babes in our arms, those kids who once needed us for their very survival somehow end up being the people they choose to be. Not necessarily the people we intended them to be. 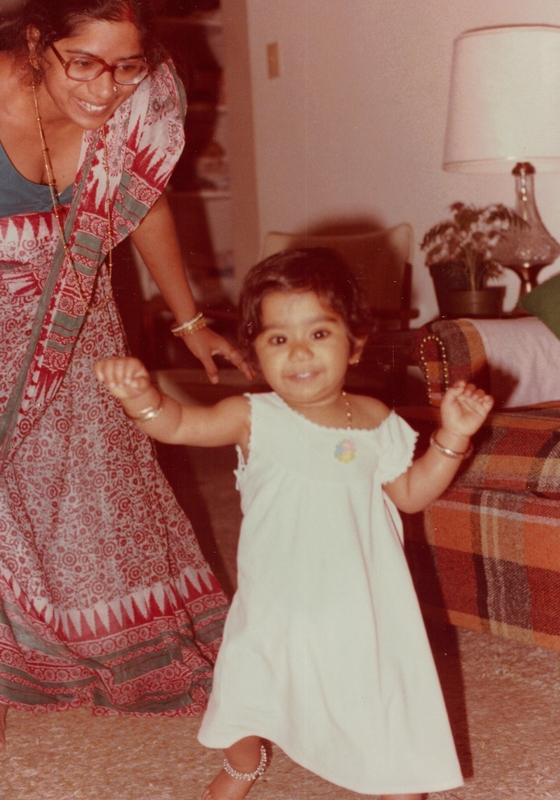 My parents wanted me to be a doctor. They even bought me a $100K science education from Caltech. And in the end, I write books about talking pigs. With our characters, our story ideas, they will also be who they are, regardless of what we want them to be. Early on, I said that not all of the ideas you have so carefully thought up during PiBoIdMo are picture book ideas. That is reality. Some of those ideas will turn out to be chapter books, or middle grades, no matter how hard we push them to be something else. (Just like some of our children will become kidlit authors, no matter how hard we push them to be doctors.) That’s ok. Some of those ideas will turn out to flounder and struggle, will find it difficult to ever realize their full potential. That’s ok, too. Because the reality is that some of the ideas you have are picture book ideas. They need you to cultivate and develop them, but with your help, they will grow to be wonderful picture books. The key here is to let your characters be who they are. Let your stories be what they are. If they grow into something different than you thought, follow them on their path instead of forcing them onto your own. The end result will be truer, will have more heart, and will be better written. Good luck to everyone and see you next PiBoIdMo! 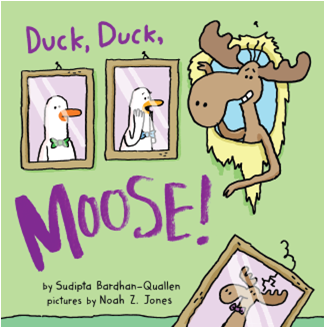 This entry was posted in About Writing, On Writing and tagged author, children, children's author, Duck Duck Moose, ideas, nerdy chick, PiBoIdMo 2013, picture book, Sudipta Bardhan-Quallen, Tara Lazar, writing. Great post! I really enjoyed jumping on the PiBoIdMo hayride, but I’ve already noticed a couple of my ideas may not work out. But it’s ok, because I have 60+ ideas I didn’t have in October! :). Enjoyed hearing about your education, your parents wishes and how you took a different path. As my children are growing, I know they will have some unique opportunities I never had, but I keep telling myself and them, above all else~ follow your heart, because in order to be the best at something, your heart has to be in it. Thanks, Deb! It never pays to fight it. Let life take you where you should go. Same for writing. Let your ideas be free to grow up the way they ought to be! (and don’t send out a PB that wants to be a chapter book!) Thanks for the freeing advice, and best wishes to you, Sudipta!